• The irrigation systems are complete with a perforator, roller or clamp for flow control, hose fittings and the integrated peristaltic pump section. • OMNIA mechanical irrigation systems have the following options: a. Internal mono irrigation b. External mono irrigation c. Internal and external irrigation. 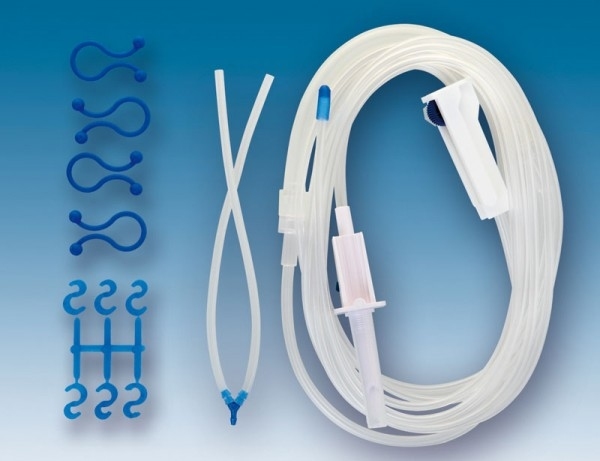 The convenient end cap makes it easier to connect the irrigation line to the handpiece and allows our infusion tubing with drip adjuster to be connected with all needles for cooling the various handpieces, which are often of different diameters.